I’m writing this post from New York! In my previous blog I wrote that I’m going to the USA for three months. Well, here I am! 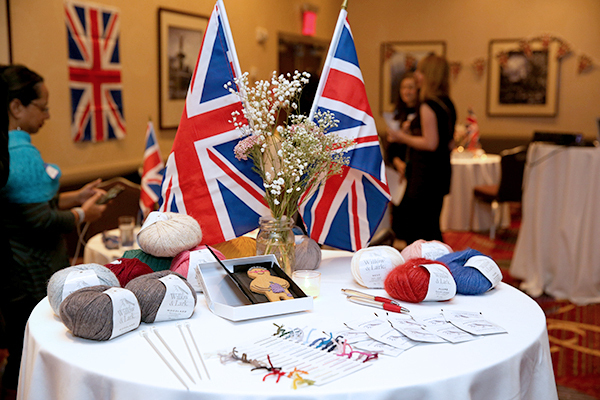 Thursday I arrived in New York and went to a party organized by LoveCrochet. Saturday I joined the Knitters Subway Storm and visited Vogue Knitting Live. Below you can find some pictures and videos of these days! I was looking forward to this party a lot because many other American & Canadian crochet designers would be there too. The room was filled with delicious food and pretty yarn. 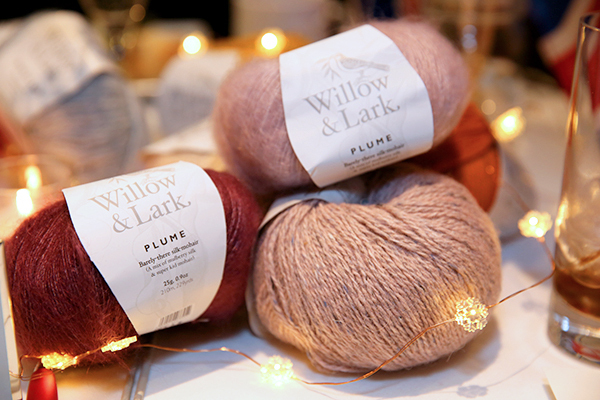 LoveCrochet carries a few well-known yarn brands such as Paintbox and Willow & Lark (launched 3 months ago). They let us choose some colors to take home and I got myself some pink and grey ones. Can’t wait to try them! > Edit: here you can find the free crochet pattern I made with this yarn. 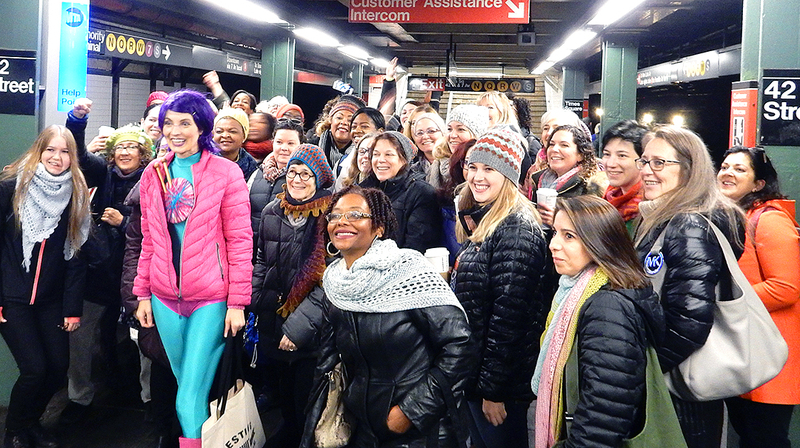 Two days later, Saturday, I joined the Subway Storm organized by knitter Kristy Glass. The idea was to surprise unknowingly people. 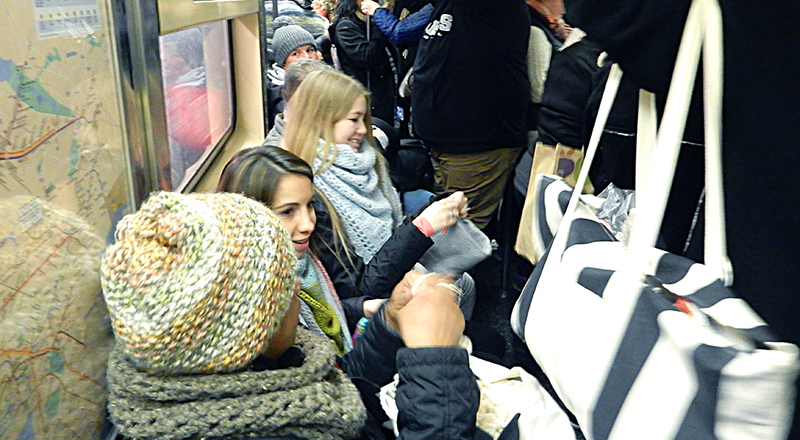 We almost filled a whole train cabin and people who were not part of our group, were totally confused what was going on. One woman asked my fiancé, who was sitting close to a door, if he knew what was going on. So funny to see their confused faces! We had a lot of fun and afterwards we walked to Vogue Knitting Live together. Vogue Knitting Live was amazing! It was incredibly big and the location was perfect – about 3 floors were used for the marketplace containing yarn shops, brands and designers. I walked around a bit, talked with some yarn brands that I had never met before and enjoyed the pretty knitting designs. I watched two mode shows organized by Vogue where the most beautiful, inspiring knitting designs were shown. 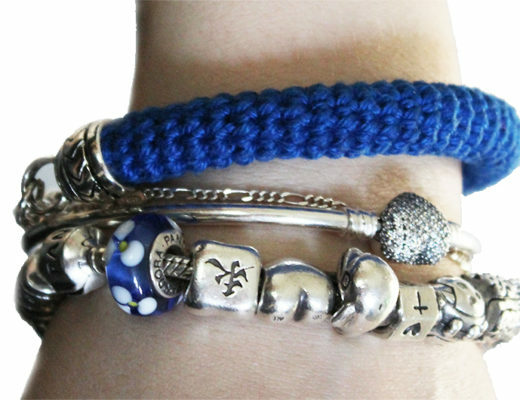 One design was made by a fellow Dutch designer! Let’s go again next year!? Next year I would love to go again. I will be more prepared on what to expect and where to go to, this first time was so overwhelming! 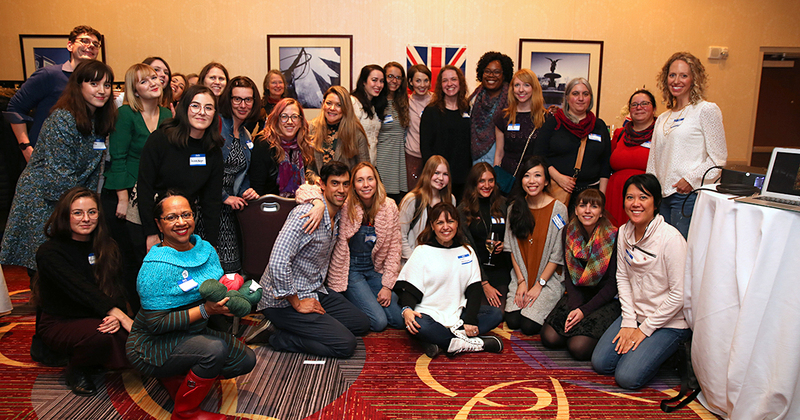 Hopefully I can convince some more Dutch crochet/knitting friends to join next year, the vibe and inspiration was amazing and New York is a great city to spend some time! 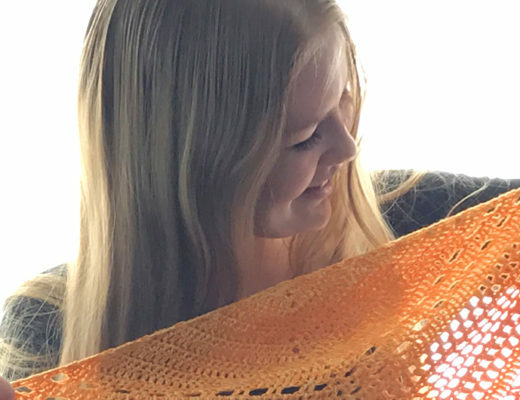 So if you haven’t planned your vacation yet, make sure to check out the dates and places of upcoming Vogue Knitting Live! Check out my one minute video below that I made at Vogue Knitting Live. Ryan, Stephanie (from allaboutami.com) and me! 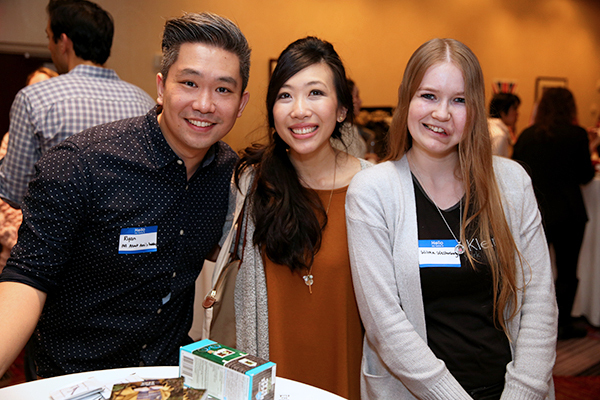 So happy to have met them in person, they’re an amazing couple! Group picture of all designers at the party. Big group showed up at the Subway Storm! I quit my job and I’m going to focus on crochet full time! We’re getting married in Las Vegas! It looks like you all had a great time. Thank you for sharing! This was such a fun week, wasn’t it!? I wish I could have made it to that subway event. It looks so fun! For sure! Amazing start of the new year 🙂 Hope to see you anytime soon, maybe VKL next year? This is fantastic and it was so lovely to meet you! !